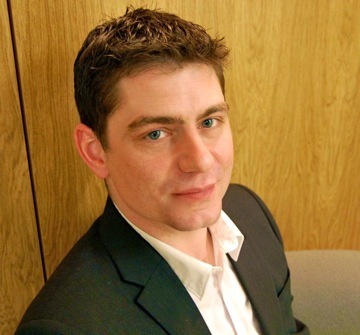 Guest blog: Joseph Lidster’s ‘Next Big Thing’! I’m pleased to welcome my first ever guest blogger – the lovely and talented Joseph Lidster. Joe’s work has included scripts for The Sarah Jane Adventures and Torchwood on BBC TV, and audio dramas for Doctor Who, Dark Shadows, Sapphire and Steel, The Confessions of Dorian Gray… But what’s his Next Big Thing? 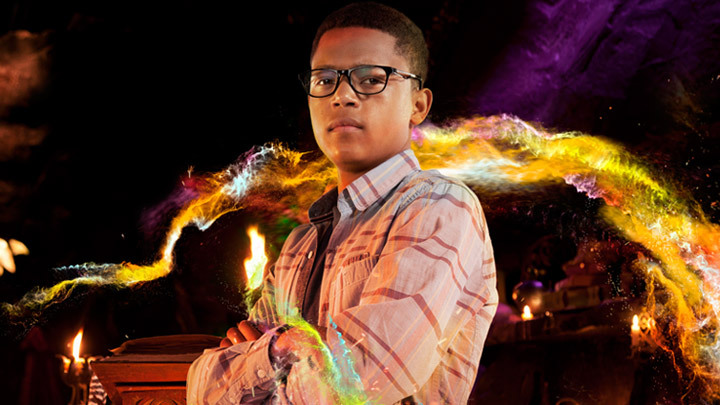 My next big thing is a story in the new childrens’ television series Wizards Vs Aliens. 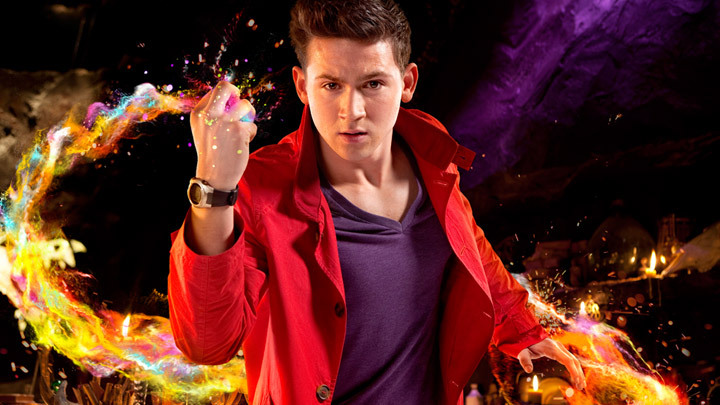 It’s called Rebel Magic and it’s told over two episodes that are broadcast on 12 and 13 November. Russell T Davies, Phil Ford, the other writers and myself had a big storyline meeting where we batted ideas back and forth. As the title suggests, the series is primarily about some Wizards versus some Aliens. It also tells the story of a 16-year-old boy who suddenly has to become a hero because of the events in the series. I was interested in that aspect really because it’s about growing up. Suddenly, Tom, the hero, can no longer use his magic to do homework or win at football – he has to use it to save his family. The series is also about the growing friendship between him and the school geek, Benny. I thought it would be interesting to tell a story about Tom meeting a wizard who appears, on the surface, to be everything he wants to be. The wizard he meets, Jackson Hawke, is attractive, cool, more-grown-up and has no responsibilities. There’s a loneliness and darkness to Jackson, though, which means that his and Tom’s friendship soon becomes very destructive both for themselves and for everyone they know. The thing I really wanted to do was to show how easy it is to be tempted by something or someone that is wrong. You laugh at what Jackson and Tom do – and it’s important that the audience find it funny because it is funny – but then Benny points out that actually what they’re doing is bullying. It’s about blurring the lines, that you sometimes get in kids’ fiction, between good and evil and good guys and bullies and so on. I suppose, technically, it’s science fiction meets fantasy. Is that science fantasy? As with a lot of my work, though, the science fiction elements are quite minimal. It’s probably best described as a coming-of-age story. Obviously this question doesn’t apply so much to me. What I can say is that the cast are fantastic. Scott and Percelle who play the regulars, Tom and Benny, are both just amazing. Proper stars in the making. And Andy, who plays Jackson, is just stunning. He manages to be both fantastically likeable but also terrifying. The three of them on screen together are, if you’ll forgive the pun, magic. Tom Clarke is about to discover that the grass isn’t always greener on the other side. It’s a BBC Wales/FreemantleMedia Enterprises co-production. And I’m represented by The Agency. The first draft of the script was handed in on 11 July 2011 and the shooting drafts were completed on 4 May 2012 although there were a few minor rewrites after that. The series itself is a bit of Harry Potter, a bit of Doctor Who, a bit of The Sarah Jane Adventures… but it actually reminds me more of the spy adventure books I read as a kid. It’s a big exciting adventure series basically! I was lucky to be asked to write for the show. What inspired me, as always, was telling a good, strong, character-based story. I think it’s so important that kids get good quality drama. At the moment we’ve Wolfblood, Young Dracula, Tracy Beaker and so on and I think Wizards Vs Aliens continues along those lines. It’s a fantastic set-up in which to tell stories that have a real heart to them. Plus it’s got Brian Blessed playing a big giant magic-eating alien. Thanks Joe! I’m hugely looking forward to your episodes. And I couldn’t agree more that good quality children’s television – like good quality children’s literature – is vitally important. 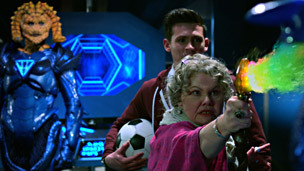 You can catch Wizards Vs Aliens on CBBC and the BBC iPlayer. The season opener – which went out this week – shows we’re in for a slick, funny, action-packed series. I loved it! You can also check out four other great writers’ ‘Next Big Thing’ by following these links: Daniela Sacerdoti: Lari Don: Pippa Goldschmidt: Emily Dodd – and you can find my own post right here (or just scroll down!). 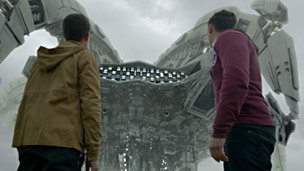 disclaimer: all the Wizards Vs Aliens shots above have been taken from the BBC website. Please don’t sue me! A very spooky dream, that I never quite forgot. I dreamt about a boy going on a quest through a dark and twisted city, and returning home to his grandmother – who didn’t seem that pleased to see him! It’s a quirky fantasy adventure, set both in this world and an alternative version of it, for readers aged 10 to 100. 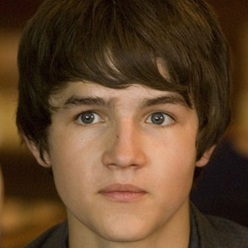 Thomas Knight (who played Luke in The Sarah Jane Adventures) would make a good smart-but-awkward Cameron. 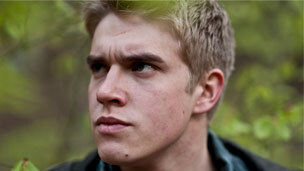 And grunged-up Bobby Lockwood (Rhydian in CBBC’s Wolfblood) could be a very appropriate Morgan. And as for spooky Grandma Ives? 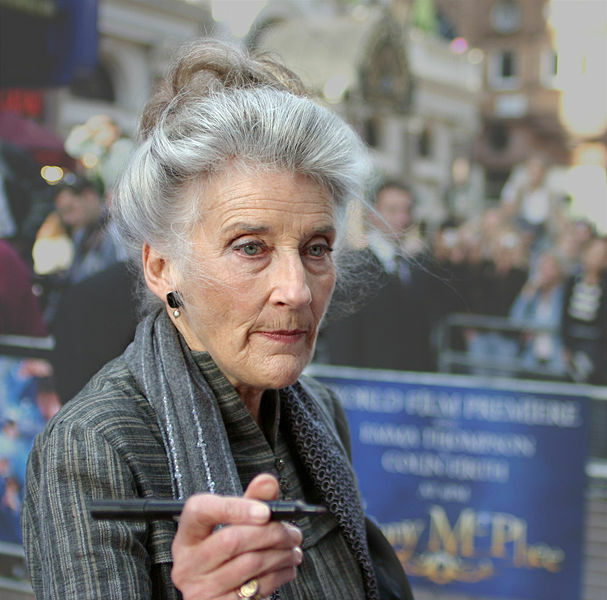 She’s absolutely Phyllida Law. 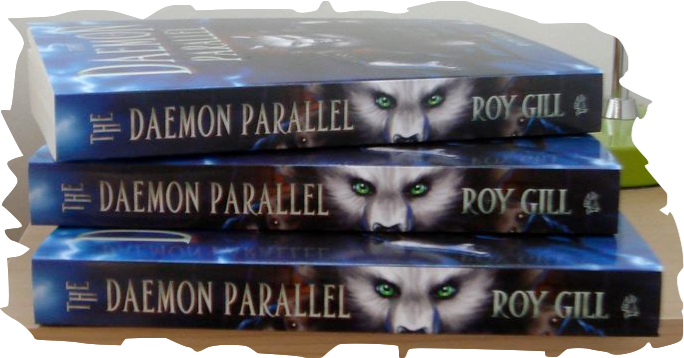 A boy battles daemons – of all kinds – on a quest to bring his father back from the dead. It’s published by Floris, and I’m represented by Fraser Ross Associates. The first complete draft took almost exactly a year – the revisions took longer! Reviews so far have drawn reference points to Susan Cooper (The Dark is Rising), Neil Gaiman’s Neverwhere and the work of Diana Wynne Jones – all of whom I’m delighted and thrilled to be compared to. In some ways fantasy fiction was a lifeline to me as a kid and teenager – as it often is to those who don’t entirely fit in to the mainstream, for one reason or another. I guess I wanted to give something back – to add my own voice to that ongoing fantastic tradition. 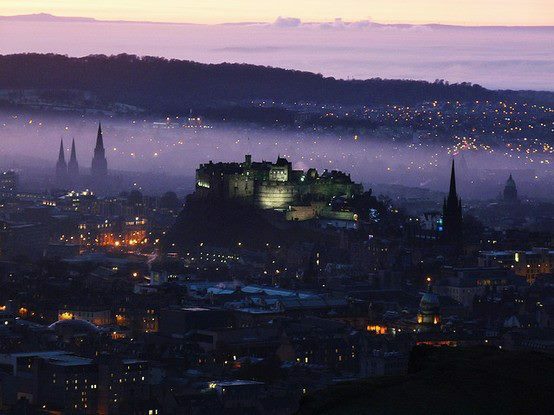 I think London is maybe a wee bit over-subscribed these days as a fantasy landscape – my novel’s set in Edinburgh, a marvellously grand and atmospheric city, that’s still ripe for new adventures. Daniela Sacerdoti: Dani’s first novel, Watch Over Me, was a runaway success on kindle this summer. She also writes for teens (the Sarah Midnight Trilogy) and children (you can read my review of Really Weird Removals.Com here). Lari Don: Lari’s exciting and fabulous ‘Fabled Beasts’ adventure series has just reached a breathless conclusion with Maze Running. Joseph Lidster: Joe was responsible for some standout scripts for both Sarah Jane Adventures and Torchwood, and is currently writing for CBBC’s upcoming awesome-sounding Wizards Vs Aliens. Pippa Goldschmidt: Pippa’s first novel Wider than the Sky was short-listed for the Dundee International Book Prize, and will be published next year. I can’t wait to read it! Emily Dodd: multi-talented Emily is a poet, scriptwriter, editor, performer… Her first book, Banana Me Beautiful gains a paperback release this Christmas. Click everyone’s name to be taken to their blog. Joe is currently blog-less, so I’m pleased to be hosting his ‘Next Big Thing’ right here on roygill.com. So check back next week! Before they know it, Valentina and Luca – who narrates this fast-paced, often funny story –are embroiled in many strange new adventures with their Uncle. They discover that all sorts of supernatural creatures – trolls, mermaids, selkies and stone fairies to name but a few – can get embroiled in the lives of humans; sometimes innocently, sometimes malevolently. Like a sort of Rentaghost-in-reverse, it’s the job of Really Weird Removals to sort these problems out, to disentangle the monsters, and try and find a happy solution for all concerned. One of the strengths of Daniela’s writing is the breadth of her imagination. There’s mention made at one point of ‘The Secret Map of Scotland’, and it’s tempting to believe Daniela has actually plotted this atlas out, and invented a secret history and marvellous creature to conceal in every location. Each chapter of the novel opens with an extract from Alistair’s ‘Scottish Paranormal Database’ – some funny, some chilling – before leading us into the children’s latest encounter. These extracts feel like sketches for stories in miniature, and would be a gift for any budding young writer (or teacher) who’d like to spin their own adventures off from Really Weird Removals.Com’s starting point. 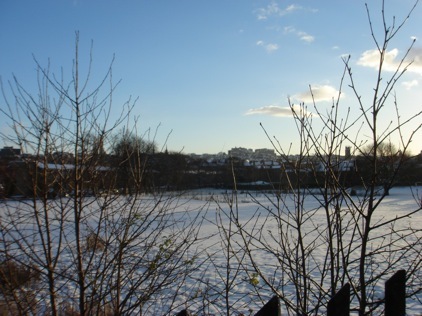 (I was particularly drawn to the tale of singing troll, whose cries were apparently captured on a cameraphone in 2009, and so enjoyed a period of infamy as a ringtone in Scottish schools…). While individual monster-problems are often dealt with swiftly by our team of heroes, it is satisfying to discover there’s a bigger, character-driven plot brewing in the background, that lends this novel its emotional and entirely-fitting conclusion. This is not only a story about fabulous monsters – it’s also a story about families, and how they fit together. Along with The Daemon Parallel and Alette J Willis’s How to Make a Golem (and Terrify People), Daniela’s novel was originally shortlisted for the 2011 Kelpies Prize. 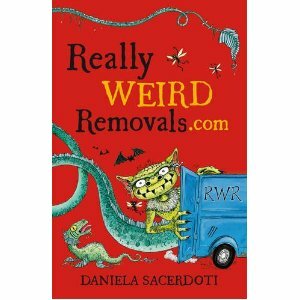 It’s been my privilege to get to know Daniela in recent months, and it’s a real pleasure to be able to say how much I enjoyed Really Weird Removals.Com.